Oh...my...gosh... I love nothing more than a recipe which is super easy, super cheap and can be bunged in the freezer and pulled out to feed my family quickly, especially for my 2 1/2 year old who's patience when hungry is limited to say the least! 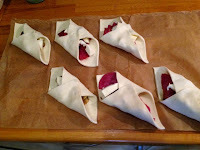 I saw the bacon ones on Facebook, it didn't mention freezing, but as soon as I made them I knew they'd be great to pop in the freezer for a quick snack or breakfast, they'd even make a nice lunch if accompanied with soup. And... T loved them! 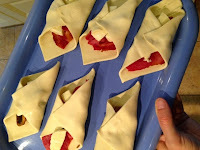 Although in think I'll make some a little smaller for him next time - maybe 12 squares instead of 8. My mind is now racing with other varieties to try, both sweet and savoury! I'll be back soon with some other varieties, T wants to try sausage and banana & chocolate butter (Nutella), The Hubs wants to try bacon, beans & cheddar and I want to try tomatoes, mozzarella & pesto and I've not even spoken to The Teens about what they would like yet!! So on to the super easy recipe then. 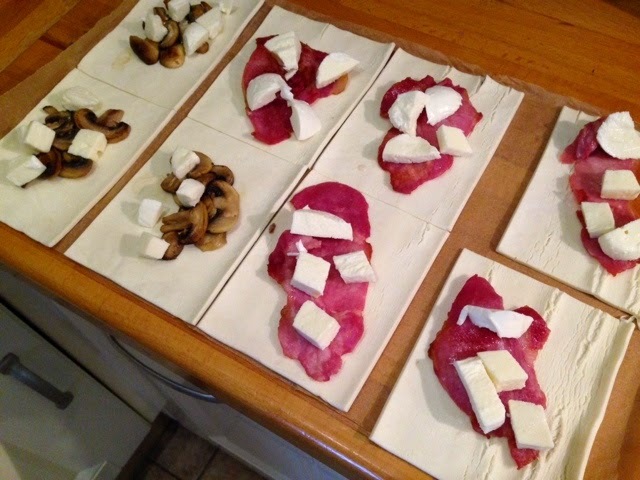 Cut the pastry into 8 rectangles, place a rasher of bacon or mushrooms on each rectangle, top with 4 pieces of cheese each. Fold opposite corners to the centre and make sure secure. Cook at 160oC for 15 minutes. 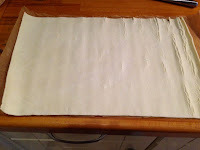 To freeze, place on a tray and open freeze for 4 hours. 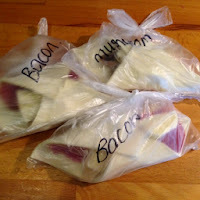 Once frozen, place in individual bags and pop back into the freezer. 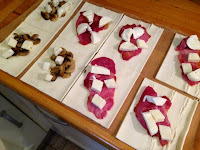 When ready to eat, cook from frozen for 25 - 30 minutes, they taste exactly the same from frozen as they do fresh. 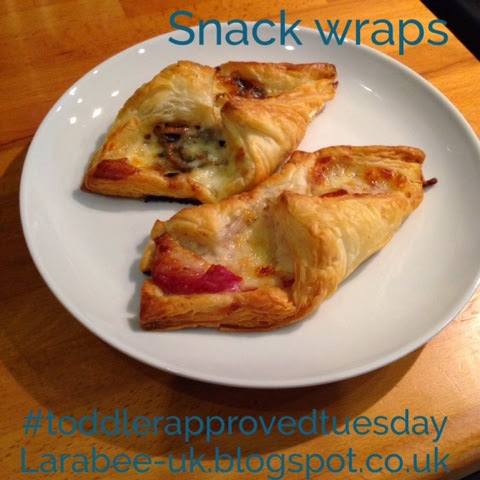 This is my first post for #toddlerapprovedtuesday join in with your toddler snacks, meals, activities, games, crafts, anything 'approved' by your toddler can be linked. Becky over at http://3princessesand1dude.blogspot.co.uk is hosting this week. And they taste delicious - double thumbs up! I might even let T help me next time. 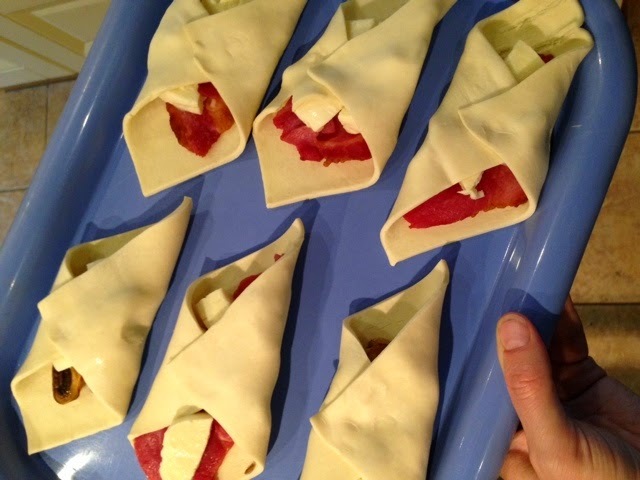 These look delicious and nice and quick and easy to make too! Hope you enjoy them if you do make them, they are really good!